Samsung is the biggest smartphone vendor in the world, thanks in no small part to the huge success that the Galaxy S series enjoys. Those flagships generate the most sales, and that is expected to continue this year as the Galaxy S8 and Galaxy S8+ leave their mark in the consumer space. But which Galaxy S device is the most popular with smartphone buyers? That is a question that may be tough to answer, as it's rare that the likes of IDC and Gartner reveal anything other than total shipments, but thanks to a ScientiaMobile report we now know that it is the Galaxy S7 that has attracted the most users. ScientiaMobile has analyzed mobile browsing traffic in Q1 and April 2017 to come up with this answer, so we do not yet know what sort of impact the Galaxy S8 may have on the figures posted by the company. What we do know is that the Galaxy S7 surpassed the Galaxy S5 for the title of the most popular Galaxy S flagship -- and also the most popular Samsung smartphone in the world as well. That is a recent change of events, as it happened somewhere right after the end of Q1. The Galaxy S5 held the top spot for quite some time, as it enjoyed the highest usage share since November 2015 at the earliest. That's when it "peaked in popularity," according to ScientiaMobile. 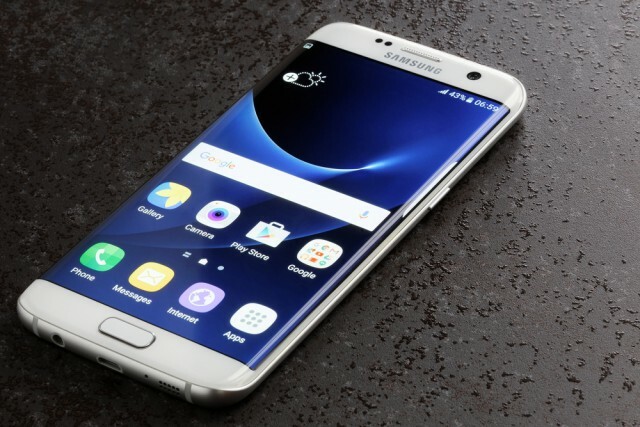 The Galaxy S6, however, did not perform as well. Personally, I am in no rush to upgrade from my Galaxy S7 edge, which I believe is a fantastic high-end smartphone, but I suspect that there will be plenty of fellow Galaxy S users that will want to make the move to the new Galaxy S8. It is a major step forward, if you're coming from an older handset, like the Galaxy S6 and especially the Galaxy S5. "ScientiaMobile will continue to monitor the Samsung Galaxy S8, which launched in April 2017. Given the age and size of S5 and S6 user-base, the upgrade potential for the S8 is significant if Samsung can retain customers," the company adds. The Galaxy S8 is off to a great start, according to Samsung, as pre-orders surpassed those for the Galaxy S7 by a significant margin.